With the help of Operation Rescue, Bud and Tara Shaver, have documented HORRIFIC abortion related injuries sustained at Late-Term, “Killing Center” Southwestern Women’s Options (SWO) located in Albuquerque, NM. 911 call for emergency transport after a botched first-trimester abortion at Southwestern Women’s Options in Albuquerque, New Mexico. November 3, 2010.Click Here for more information. As former interns with Operation Rescue, Bud and Tara Shaver, have learned the most cutting edge tactics and research techniques to document conditions and practices permeating the, Abortion Industry. Since arriving to Albuquerque, in 2010, they have worked tirelessly with Operation Rescue to document, uncover, and EXPOSE the New Mexico Abortion Cartel. Tara Shaver, who trained with Operation Rescue for a year in Wichita, obtained records of over a dozen 911 calls placed from Southwestern Women’s Options (SWO) showing gross life-threatening complications, including a ruptured uterus during a 35-week abortion. Tara also discovered that state tax dollars pay for these late-term procedures at the cost of thousands of dollars each. She also obtained a consent form from SWO, in 2012, where the abortion business admits that abortions after 18 weeks are more dangerous than live birth, which is contradicts the usual pro-abortion talking points. Below is the consent form that you can view for yourself and feel free to download, print and share it with others. Also we have compiled several reports, undercover investigations, and video’s. -Finance the UNMCRH abortion clinic. -Train UNM medical residents in abortions techniques, particularly late-term abortions. “The University of New Mexico (UNM) is at the heart of the abortion industry in the Land of Enchantment. During our four years of work in Albuquerque, the home of the Lobos, we discovered that the abortion culture is deeply entrenched at this publicly-funded institution and expanding – all at taxpayers’ expense. Click Here to read the full report.“-Administering Misoprostol, a uterine contracting agent, during a “trial of labor after cesarean” or TOLAC. -Sent M.L. to a hotel where she could not be monitored after administering misoprostol. -Administered Misoprostol and Pitocin, another uterine contracting agent, simultaneously. “According to Life Dynamics’s report, “Racial Targeting and Population Control,” New Mexico has the highest per capita Hispanic population of all 50 states. “The horrific crimes that took place at Kermit Gosnell’s abortion clinic have put a spotlight on the barbaric act of late-term abortion. However, the crimes committed in Pennsylvania are not isolated incidents. A new abortion facility in Las Cruces, NM, operated by the Texas-based Whole Women’s Health abortion chain, was caught “red-handed” operating without a valid business permit in an area that may not be properly zoned for that business. Seeking to avoid safety standards in TX that shut down two of its five TX abortion centers, Whole Women’s Health targeted NM where an absence of abortion laws allows even the most disreputable to run abortion businesses without fear of inspection or oversight. 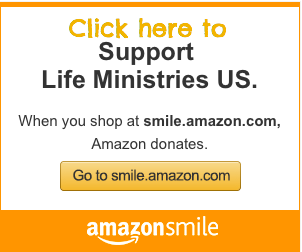 There are more video’s and 911 calls EXPOSING horrific abortion related injuries documented here. During the charade chaired by Sen. Pino, he cut off the testimony of expert witness Tara Shaver, Senior Policy Advisor of Protest ABQ when she attempted to introduce 911 calls made from Albuquerque abortion facilities. Sen. Pino objected and threw a “tantrum,” claiming that the 911 calls were “too emotional” when the bill’s sponsor Sen. Brandt asked for the 911 calls to be played, which documented severe injuries sustained by women from Albuquerque abortion clinics. Sen. Pino’s attack of the Bible, Christians, and his own Church was frightening coming from an elected official. Senator Daniel Ivey Soto continued the committee, “bully pulpit” by heaping abuse upon his pro-life constituents calling them, “unprincipled” and pretty much Hypocrites! Ironically during Soto’s testimony he spoke about how he and his wife watched their child so diligently in the womb, “never passing by an ultrasound without taking a quick peek” of his daughter, Olivia, calling her by name in-utero. He publicly stated he “wouldn’t do anything to harm her in the womb” but then went on to cast his vote in opposition of the Late-Term Abortion Ban, which would have protected viable babies in the womb at 20 weeks. I agree with Fr. Imbarrato, Director of Protest ABQ when he stated that we shouldn’t do things on the politicians’ terms, but instead we need to hold our elected officials accountable. Unless the pro-life movement can come together as a unified force, to be reckoned with, the New Mexico Senate will continue to kill pro-life legislation over the next 4 years. Both the Late-Term Abortion Ban HB 390 and the Parental Notification for Abortion HB 391 were tabled on party lines 5-3. ALL of the Senate Democrats voted to kill these pro-life bills: Jacob Candelaria (D-Albuquerque), Daniel Ivey-Soto (D-Albuquerque), Bill O’Neill (D-Albuquerque), Jerry Ortiz y Pino (D-Albuquerque) and Mimi Stewart (D-Albuquerque). To get involved with Protest ABQ click here. Protest ABQ is a peaceful awareness campaign launched to educate and stand against the injustice of abortion through a strategic and sustained presence. Protest ABQ strives to educate Albuquerque and New Mexico residents on what abortion really is and what it looks like. 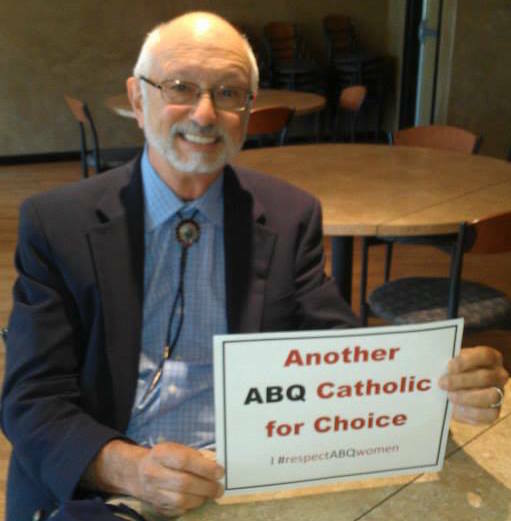 While Protest ABQ is opposed to abortion and seeks the reversal of Roe v. Wade and its progeny, Protest ABQ acknowledges that it must do all it can to protect the lives, health, and safety of vulnerable women who are subjected to an abortion and to protect and preserve the life of the unborn child.